October | 2015 | Lamb on a bike! Last night I went to the pub for dinner with my good friend Bonnie. We went to the Boathouse, which is a pretty low-key pub near the river, and conveniently opposite Evans Cycles, should that sort of thing be up your street. I got there first and ordered a lime and soda, the non-drinkers drink of choice. Not drinking alcohol doesn’t stop you from going to the pub, but what it does do is stop you having a great choice when you get there. Drinkers have beer (of various types), wine, spirits, mixers and even cocktails to choose from (yes, the Boathouse has cocktails on its menu; no, I can’t imagine anyone at the Boathouse ever ordering one). Non-drinkers have sugary soft drinks, occasional non-alcoholic beer and hot beverages. I’m not a huge fan of lime but at least a lime and soda is not a complete sugar overload. “That’ll be two pounds, please”, the barman said. Two pounds? Two actual British pounds? For a dash of cordial in some fizzy water? I grumbled my way back to the table and when Bonnie arrived, I told her about the almighty rip off. She went off to the bar and came back with a glass of soda water. I asked her how much it was: free. And she got a slice of lime! On the plus side, we got two main courses for a tenner, which means Mac & Cheese with garlic bread is only three quid more expensive than a bit of cordial. Continuing a theme, this year my summer holiday was not in summer and was quite cold. How cold? Ice cold! Yes – Iceland. 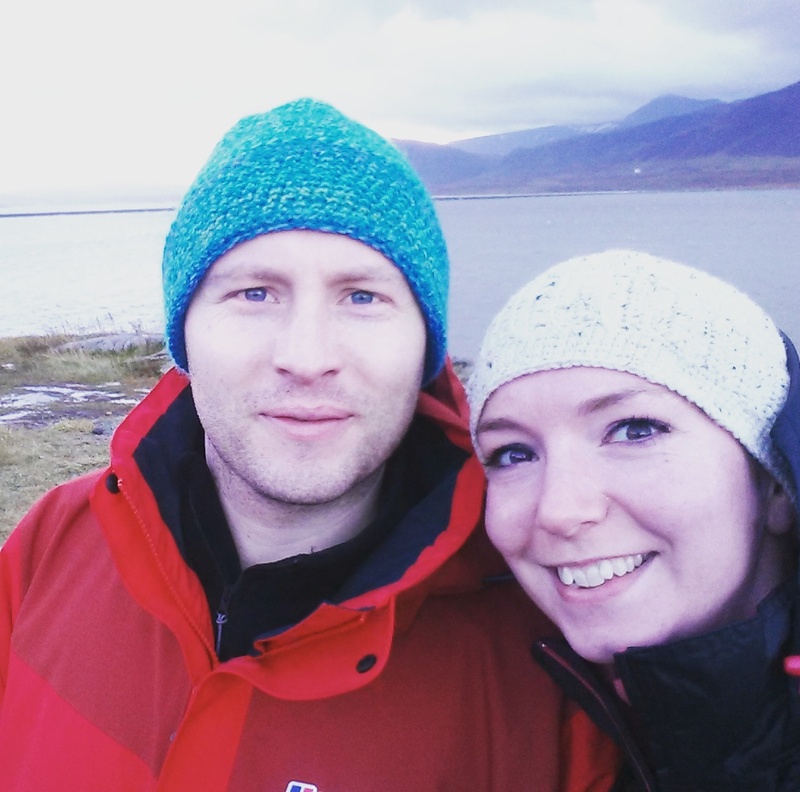 Matt and I were almost blown away when stepping off the plane at Keflavík Airport, a chill wind shrieking around the airport. It hadn’t started raining yet, but it would. 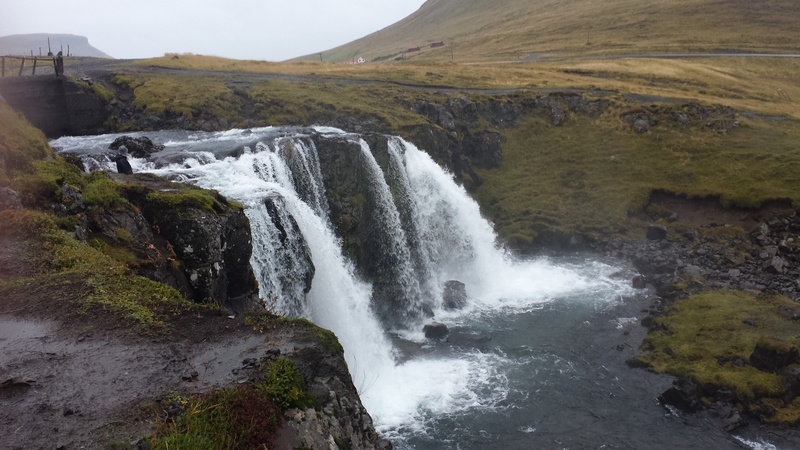 We retrieved our suitcase and Matt went to buy a drink, hoping to find a bizarre Icelandic soft drink – puffin juice or at least something vaguely fermented – and came back with orangeade. Our car hire rep had a laidback approach to the point of not telling us if the car was petrol or diesel, but we had our steed for the week! 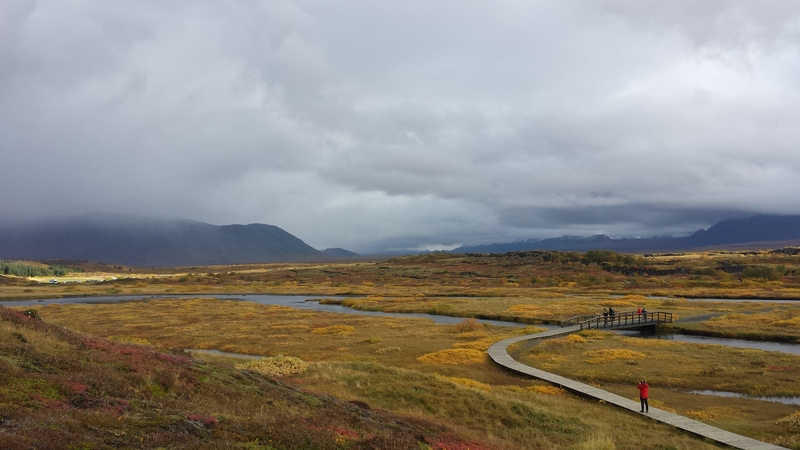 A lot of tourists to Iceland see a few set sights, on itineries such as the “Golden Circle”. I’m not a fan of tour groups and wanted to see more of ‘real’ Iceland, so convinced Matt that we didn’t want to go to the Blue Lagoon (actually the effluent of an energy plant) and instead we headed for the Westfjords, the far north western corner of Iceland, and the oldest part of this volcanic rock. 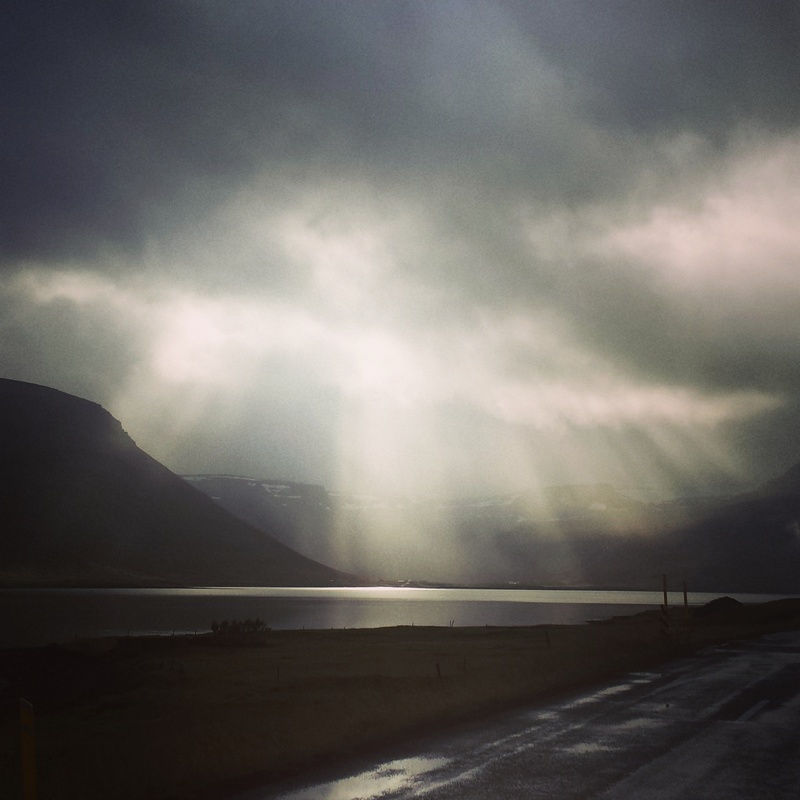 The Westfjords is the area of Iceland where, until earlier this year, any Basques could be legally killed, and with total inhabitants of 7,000, I was hoping to see lots of nature, some fjords and very few people of Iberian descent. 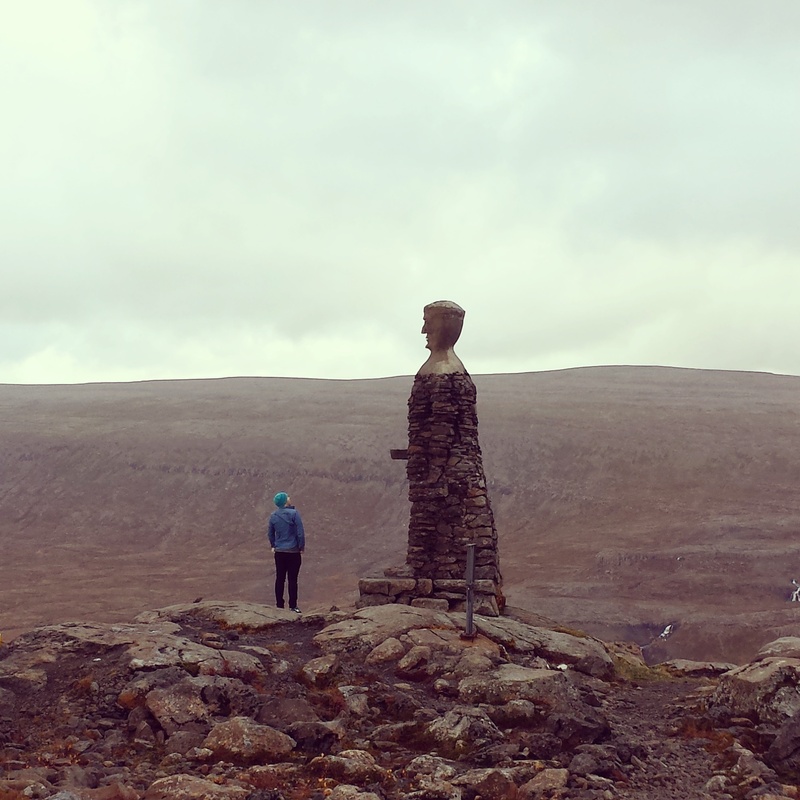 First stop was Borganes, an hour north of Reykjavík. The drive was easy, barring an accidental detour off the main road in Reykjavík, and included a 6km tunnel (Iceland’s only toll road). That evening we explored the sights – the stunning view and the Settlement Centre, a small museum with amazing food. As a vegetarian, I’d thought the food would be rubbish in Iceland and I was happy to be wrong (little did I know that this was the best food I’d eat). We talked one of the staff into giving us some free volcanic salt and another waiter told us how he’d tried living in Reykjavík, but it was “too busy” (population: 120,000). 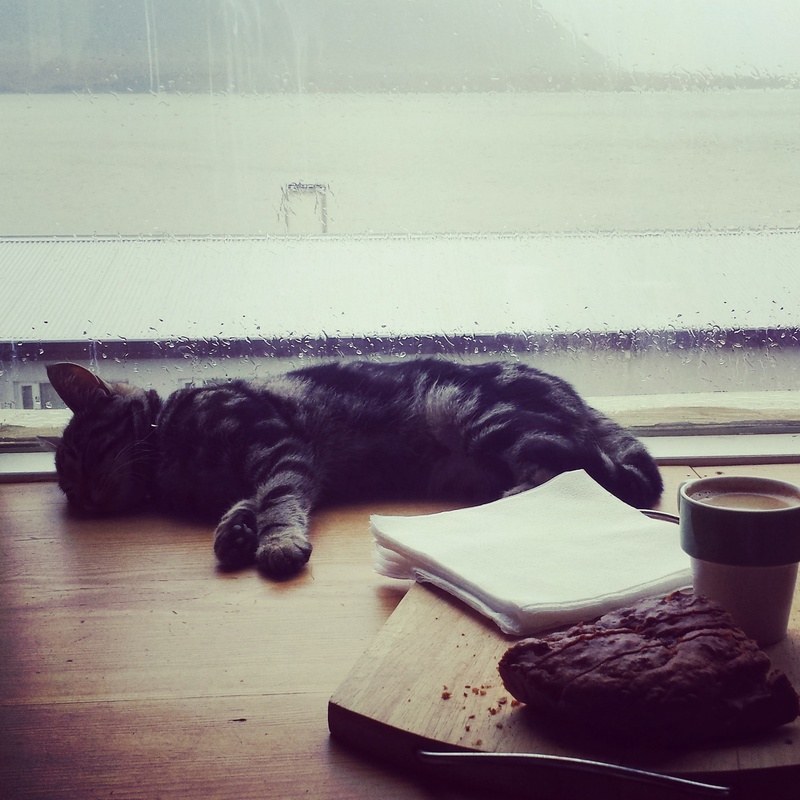 In the morning we petted the kittens at our Airbnb before heading to the Snaefellsnes peninsula. 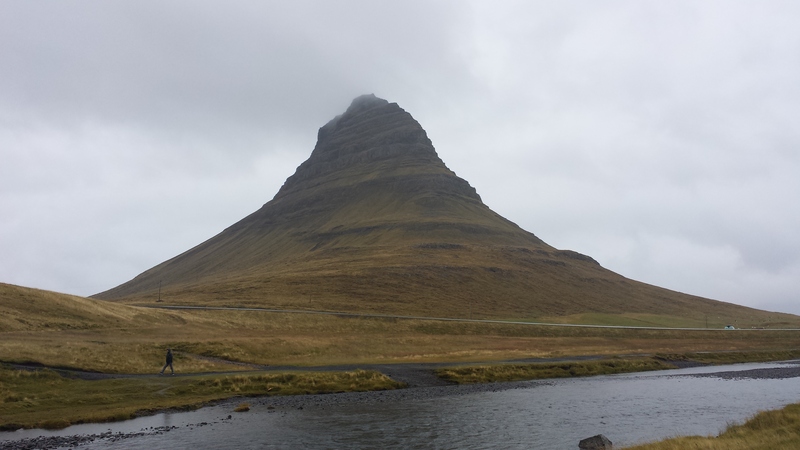 The weather was poor and visibility wasn’t great, so we couldn’t walk to the Snæfellsjökull volcano, but went to the Witches Hat and Kirkjufellsfoss waterfall instead. Saw a lot of horses, saw a lot of sheep. That night we stayed in Stykkishólmur, where our Airbnb had a hot pot. 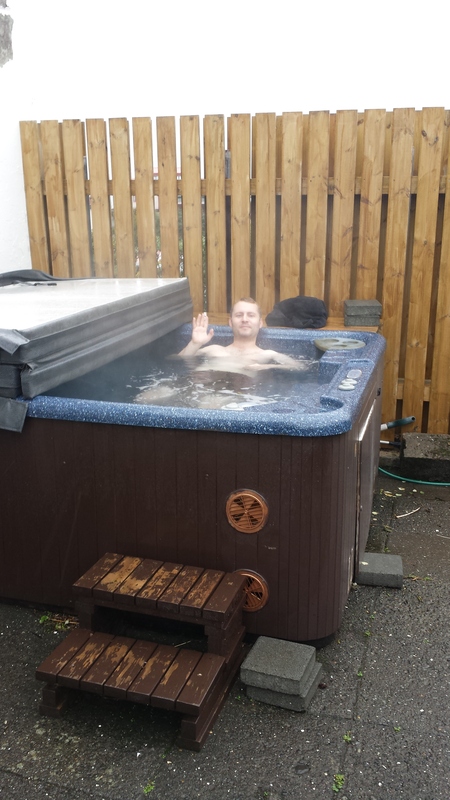 The local pool had two hot pots AND FLUMES. Matt ate shark – it tasted “like petrol”. 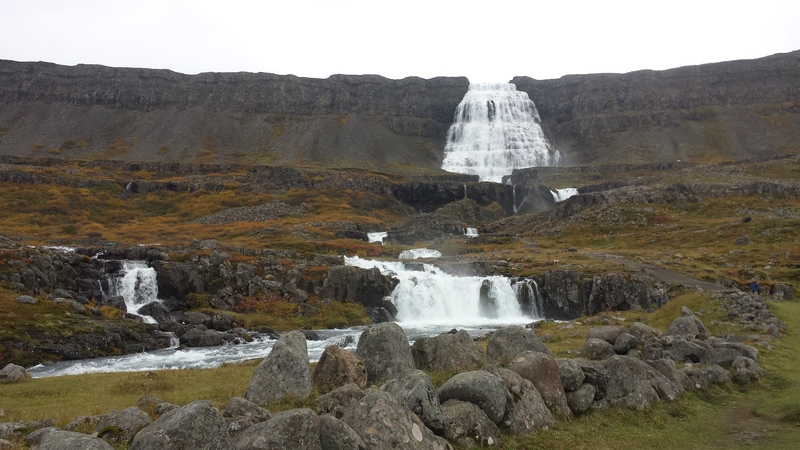 By this point we were sick of the two CD’s we’d brought with us and the scant population of Iceland, and specifically the Westfjords, meant that radio coverage was poor. We sang “The Bare Necessities”, which we now know doesn’t work as a round. 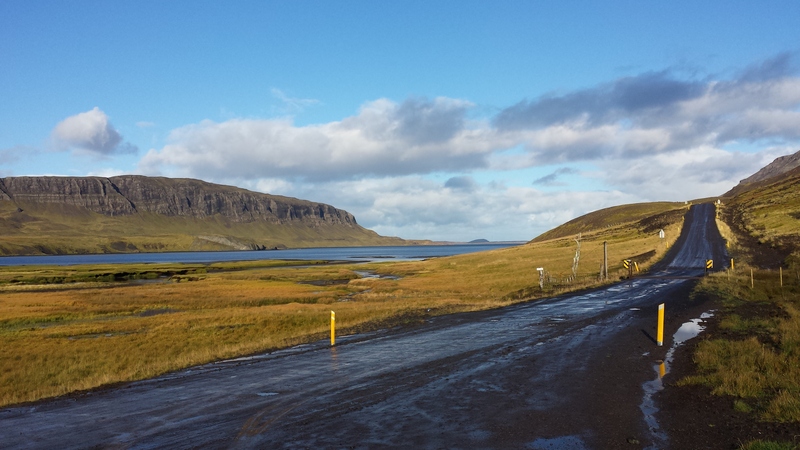 Arriving in Patreksfjörður was one of the anticlimaxes of my life. Matt was tired and hungry. Our Airbnb hosts weren’t home. Everything in the town was closed (except the local pool, which had a phenomenal rooftop infinity style pool). Everything was grey. There were no people, other than two young girls on a bouncy castle. Matt had a nap and I finished my book about an execution in Iceland 200 years ago, then cooked dinner on a camping stove on the floor. 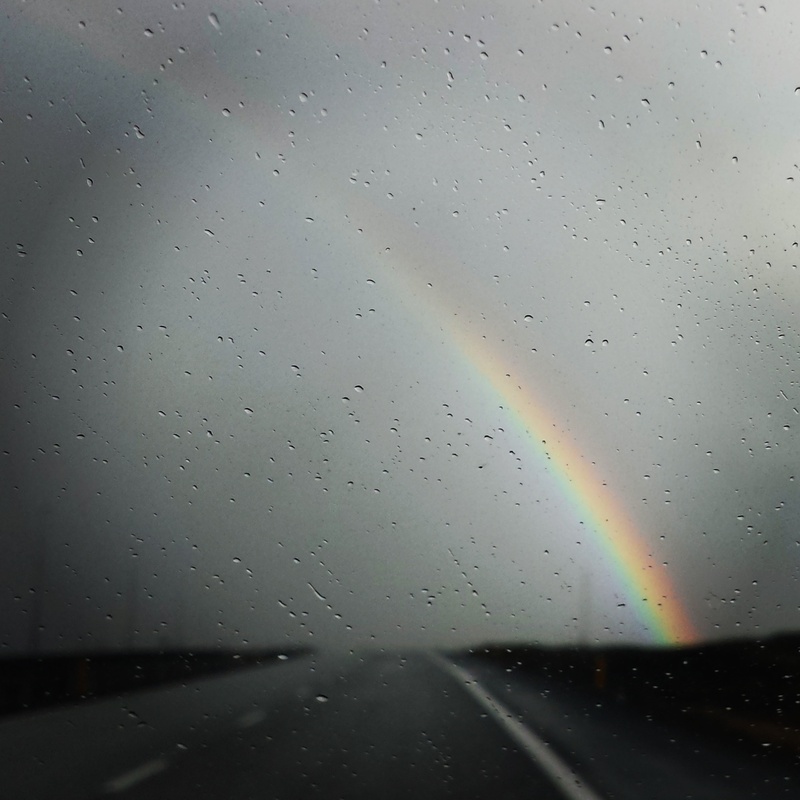 In the morning I went for a run in the rain. Other than a young boy on a bike, I saw no one. From Patreksfjörður we drove north to the Dynjandi waterfall. This was a long drive on gravel roads, across the tops of mountains and through some desolate scenery. I wouldn’t have wanted to be alone in the car. 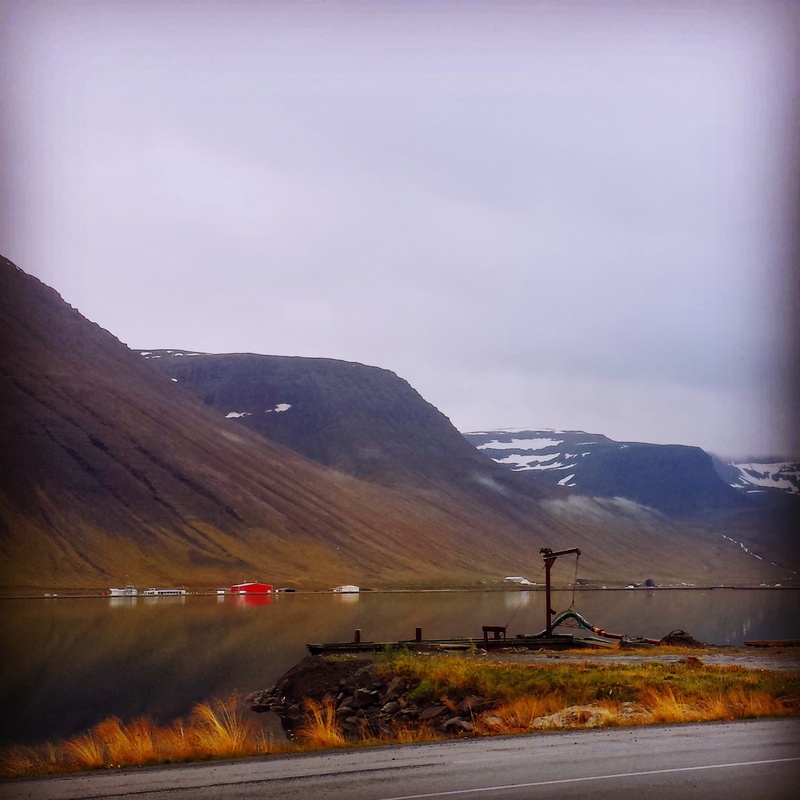 A key destination, after a drive through another 5km tunnel (this time a single-file tunnel with a crossroads in the middle), was Ísafjörður. This cosy “city” of 4,000 people nestled in a fjord and had a lot of charm despite the weather. We holed up in a snug bakery for a while, before spending the night in our Airbnb – an old fashioned Icelandic corrugated iron building on the outside, a modern underfloor-heated, TV-projector on the inside. Perfect. Matt and I woke up the next day with sore throats, and I for one felt miserable. Getting ill on holiday isn’t fair! 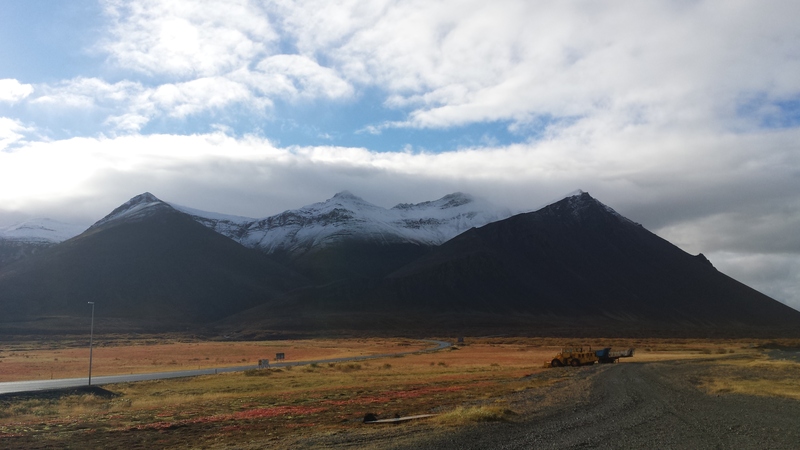 We set off for the Arctic Fox centre in neighbouring Súðavík, run by a man from Wiltshire. There were two foxes in the enclosure outside, but an interesting museum inside with information about the foxes as well as the history and importance of foxes in Iceland. We heard about the polar bears who sometimes turn up in Iceland on ice floes, and expected to hear that the bears were kept in zoos or were in some way welcomed, rather than being shot on sight. Oh. We saw dolphins and seals in the fjords, along with stunning scenery. 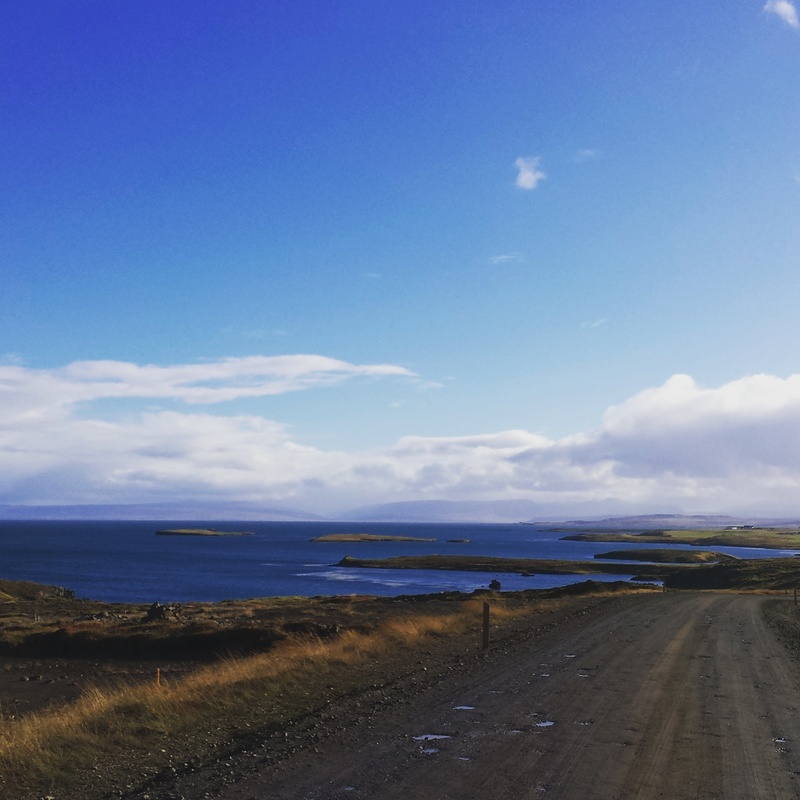 Leaving the fjords behind, we headed inland towards Hólmavík – our waiter back at the Settlement Centre in Borganes had recommended the town to us. Everything was closed. We’d happily had a coffee at a petrol station cafe the day before but this time it was just a lonely, windswept pump. We drove on. From Búðardalur we drove back towards Reykjavík, with a detour to the Thingvellir National Park. 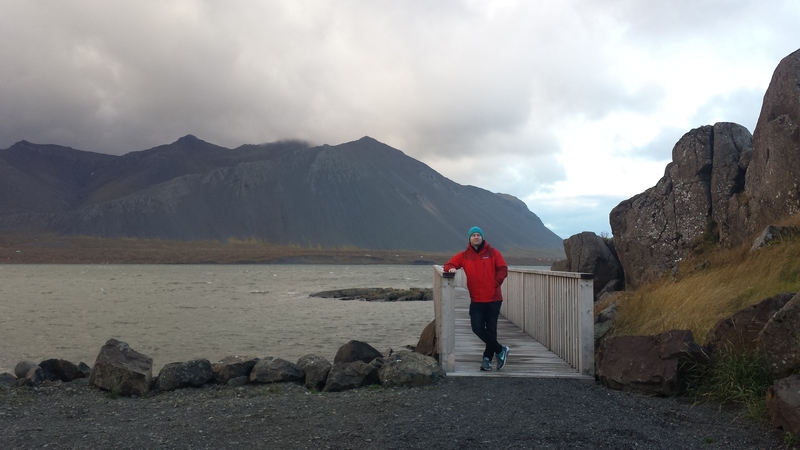 This is one of the main tourist sights in Iceland and Matt was confronted with what an alternative trip to Iceland could have looked like when he popped into the visitor centre to use the loo, with crowds of shouty tourists. 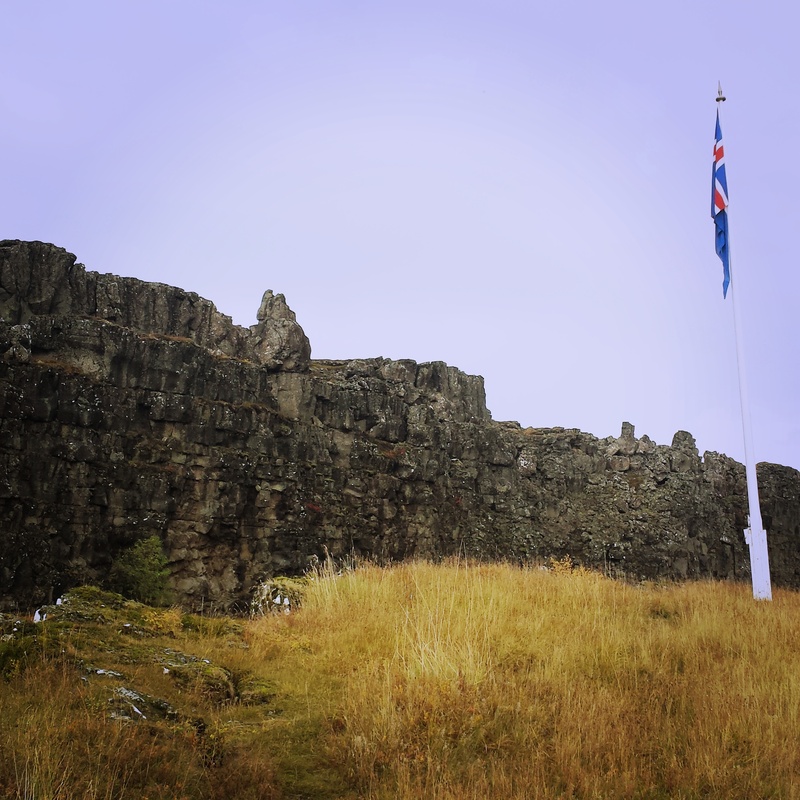 Thingvellir is very interesting, for its history (the site of the first Icelandic parliament) as well as its geography (the intersection of tectonic plates, with rifts on the crest of the Mid-Atlantic ridge). 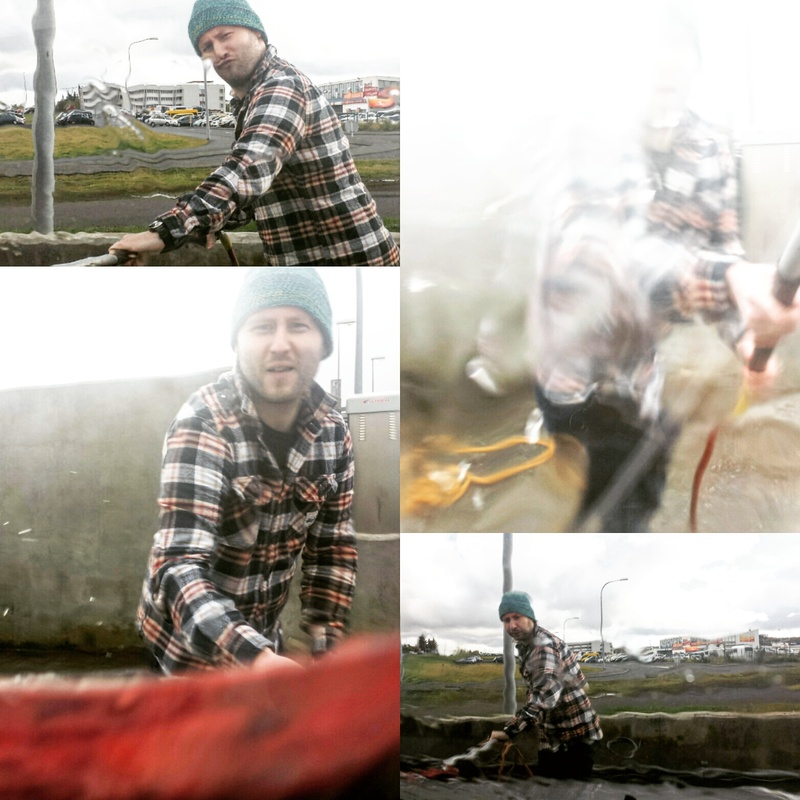 On our way into Reykjavík we stopped off at a car wash to clean our filthy car. Matt was a real gentleman and did it all himself, letting me stay warm/dry in the car, so I entertained myself by taking photos of him. We showed up at our Airbnb, hosted by an Albanian couple. They were chatty and gave us tips on where to eat as well as some interesting insights into living and working in Iceland. The car hire rep was meant to pick the car up but there was no sign of him, and after waiting for a while we wandered into town. We’d chosen a really central Airbnb, and it was easy to walk about. 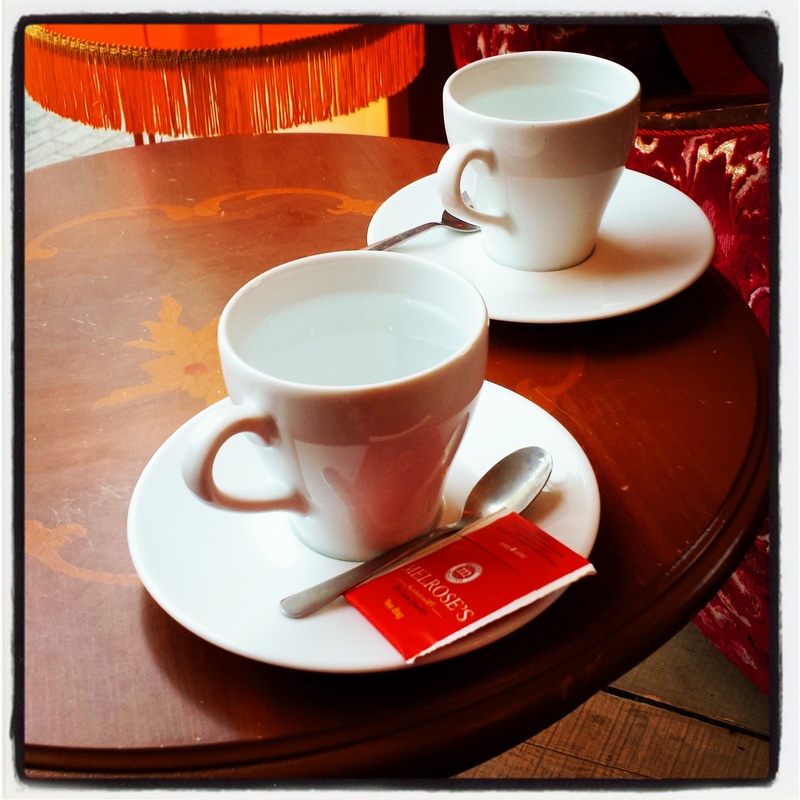 We bought tickets for a showing at the Reykjavík International Film Festival that night and discovered a lovely cafe on one of the oldest streets in the city. After a tasty vegetarian dinner, we tried and failed to see the northern lights at the harbour and then “enjoyed” an evening of depressing Icelandic short films (suicide ratio: high). The next morning, our car hire rep finally showed up, and our nice clean car was covered with snow (Matt didn’t believe me about the snow when I woke him up during the night to tell him). 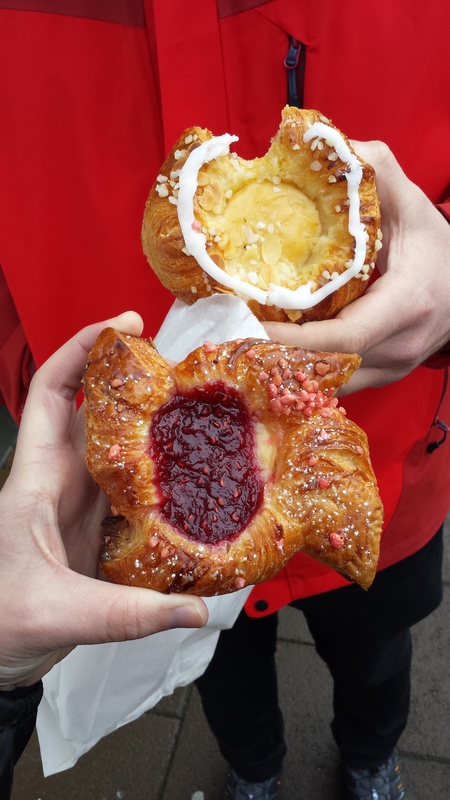 We went to a bakery for breakfast, where we chatted for so long that by the time we left we were hungry again and had to buy pastries to go. 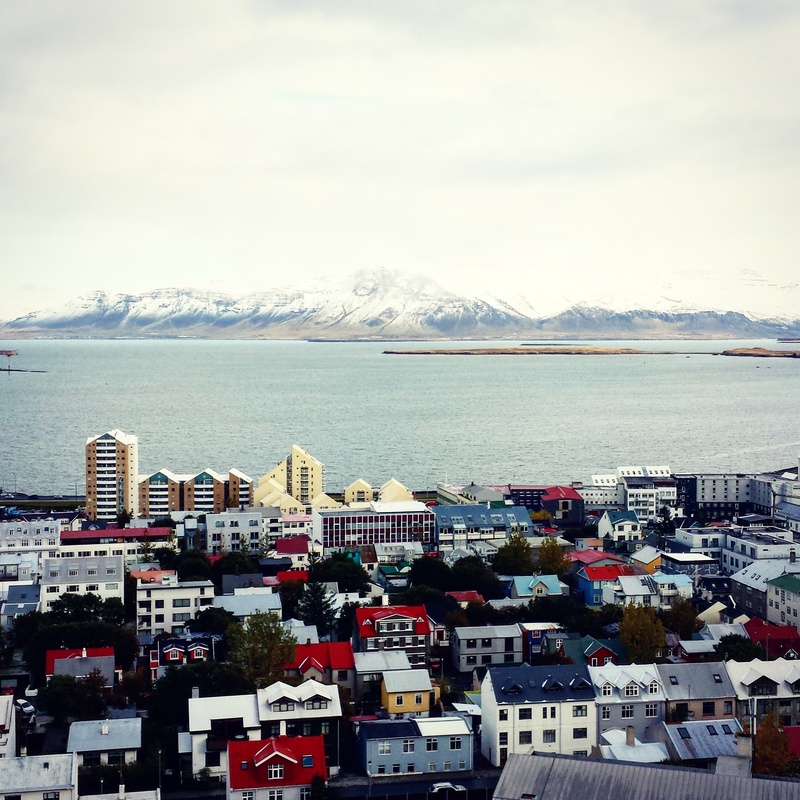 We went up the tower of the Hallgrimskirkja, which had fantastic views of the city. Matt had a quick nap and I went for a run along the waterfront. It was windy and quite chilly, but I had funky woollen socks on so by the time I got back to the flat I was toasty. 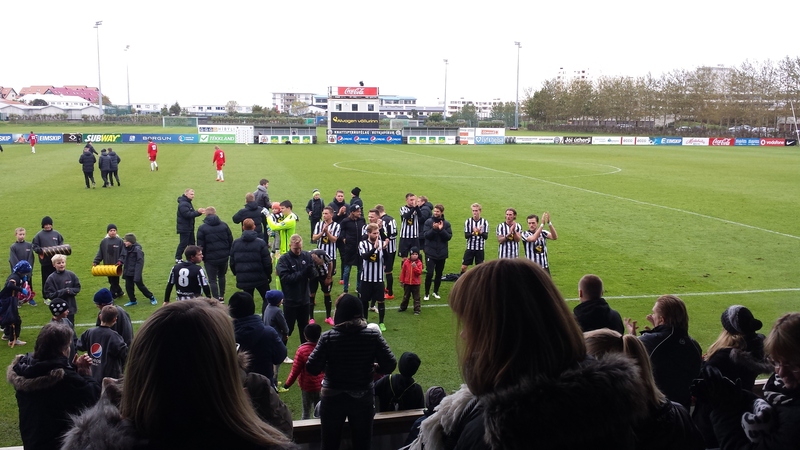 It was the final day of the Icelandic football season, and although the champions had been decided, we were off to see a match. I’d never been to a football match before so I was excited! Matt had done all the planning, so at 14:00 we set off for the stadium, in the west of the city. We took a few wrong turnings but we had an hour, so it was fine… and as we arrived at 14:45 we heard the whistle for half time! Turns out the website Matt had checked on was not in local time. The score was already 3-1, and Matt was annoyed we’d missed so many goals. But we got let in for free, and managed to blag our way into the members bar, where we got free coffee, so all was not lost. In the second half we saw more goals, with the match ending 5-2. The ground was pretty small, just one stand with all the fans sitting together (and some enthusiastic kids chanting). In fact the stand was smaller than the club house. At the end, KR’s man of the match was an English footballer and the team applauded the fans. We wandered back into town, picking up some pizza on the way, and went to our customary cafe for tea and the best carrot cake of my life. I did some instagramming and Matt checked up on the football scores for all the other matches going on in the world. Later on, we went for a wander in the cold, looking for somewhere to eat. Since the shark, Matt hadn’t eaten any meat at all but Reykjavík doesn’t have great vegetarian options. We eventually went to an Italian restaurant – the third time I’d had pasta for dinner that week! We finished off with another non-Icelandic dish, a crepe with icecream. I woke up on our final morning to a howling gale but decided to go running anyway. I got lost, got rained on and got blown about, eventually having to shelter from the wind behind a skip to muster the strength to get back home. 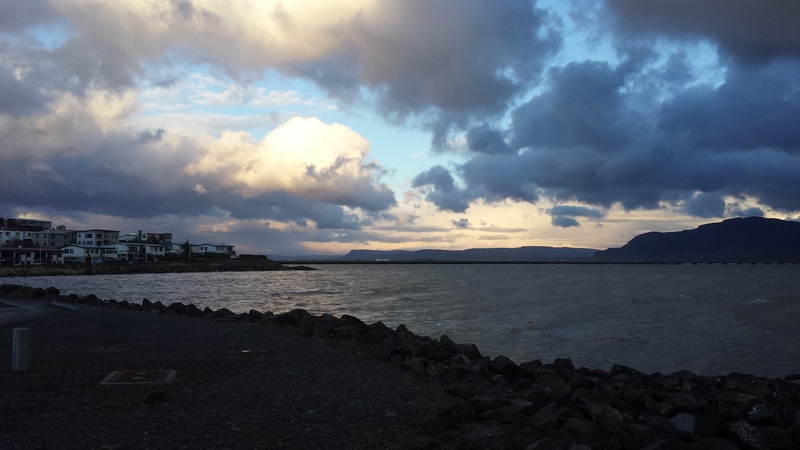 Leaving Reykjavík was a bit stressful, as we hadn’t booked our transport. We’d been advised to leave lots of time in case of long queues, so booked a transfer from the hotel near our Airbnb. This transfer turned up stress-inducingly late, and it was a 3 minute drive to the bus station, where we switched buses for the proper airport bus. 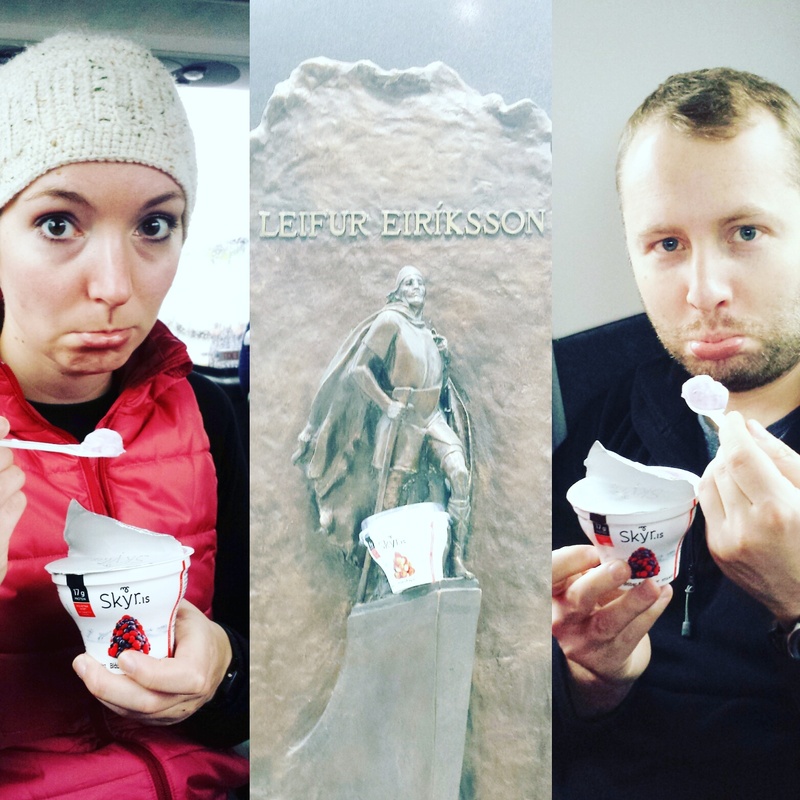 Of course, there were no queues at Keflavík, and our flight was delayed – but we killed some time eating our remaining skyr, looking at the very expensive shop, knitting, following the football and having a snooze. Arriving back at Gatwick was horrible, with surly passport control and delayed trains. The end of a holiday is always depressing but ending a holiday at Gatwick is pretty much the worst. Iceland is a great place to go on holiday. It’s really easy to get to and easy to get around, both in terms of transport and also for the ease of it all – everywhere takes cards, everyone speaks English, tourist information centres are well stocked with maps and helpful staff and there are useful signs in tourist spots (without the overkill of DANGER! WARNING! signs you’d find in the UK (or worse, I imagine, the US)). It’s not that expensive, either, with petrol about the same price as the UK and food only a bit more (although we didn’t go anywhere high end). Gifts were expensive, and I didn’t buy an Icelandic jumper, as I’d wanted to. 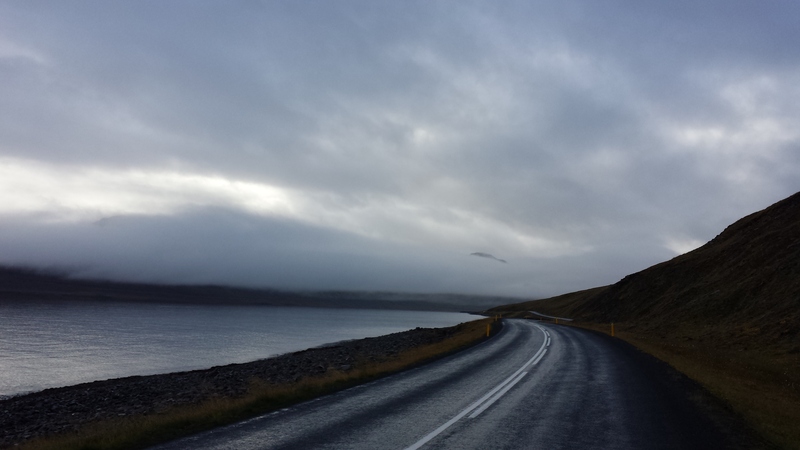 The scenery is stunning and it was so refreshing to see such vivid skies and majestic fjords. 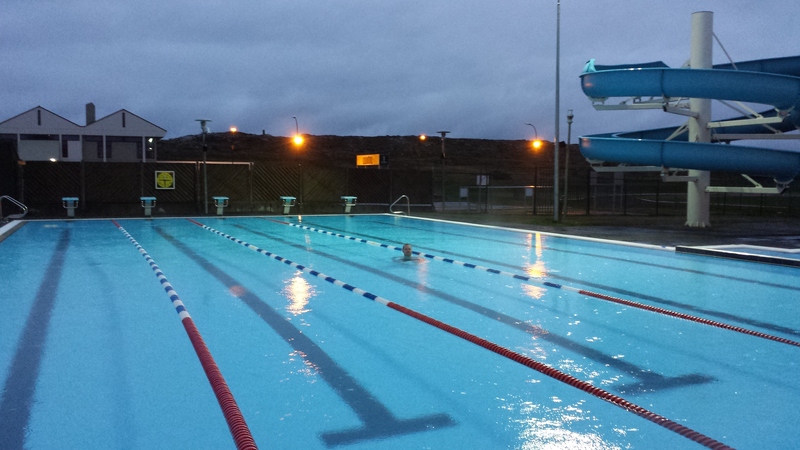 The food isn’t great and the weather isn’t always delightful, but Icelanders know this and make their homes, swimming pools and cafes super cosy instead. 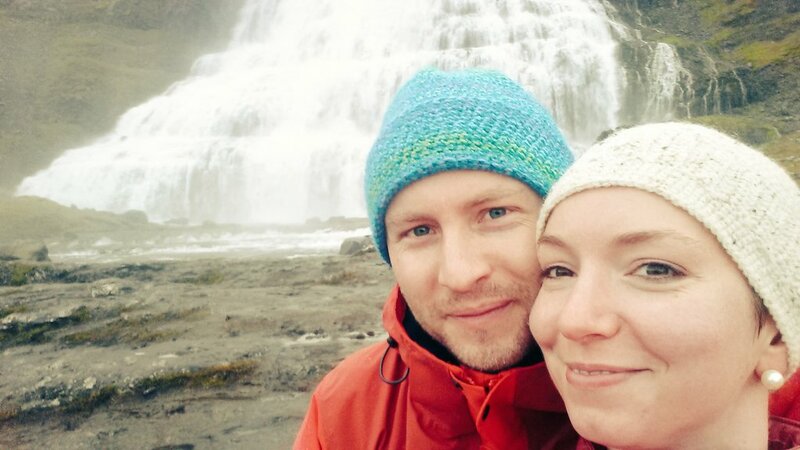 While I’m sure that if you only saw Iceland on an organised tour you’d have a great time, we liked having the freedom to do what we wanted, and often we felt we had the country to ourselves. Having seen the crowds at Thingveller, I wonder whether it would be possible to enjoy the quiet expanse in quite the same way on a tour, or by only seeing the main sights. Would I go back to Iceland? You bet – although we saw lots of horses, I didn’t get to ride one at all, so for that reason alone I’d like to go back!